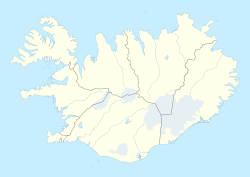 Vestmannaeyjar (Icelandic pronunciation: [ˈvɛstmanːaˌeiːjar], whiles anglicised as Westman Islands) is a toun an airchipelagae aff the sooth coast o Iceland. ↑ "Westman Islands". Icelandic Tourist Board. Retrieved 13 April 2014. This page wis last eeditit on 23 Apryle 2018, at 06:17.